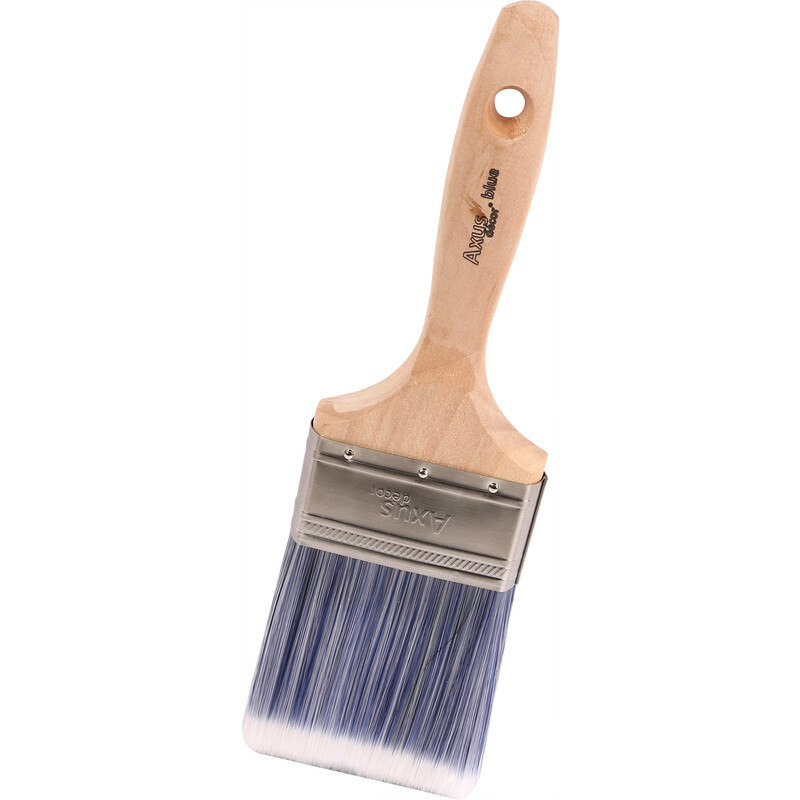 Axus Decor Blue Pro Paintbrush 3"
A slightly stiff full bodied stock of tapered filaments. Engineered to pick up a large amount of paint and deliver it evenly onto the surface. Gives great results when cutting in. Axus Decor Blue Pro Paintbrush 3" is rated 5.0 out of 5 by 2. Rated 5 out of 5 by Slackarino from Does what it says on the tin. I bought this brush a week ago and so glad I did I love it. Trust me it's a dream to use. I've been decorating for 42 yrs.